Gratitude Health Inc announced the launch of its first line of products: Gratitude Dragon Well Green Teas. The five-SKU line of ready-to-drink (RTD) Dragon Well Green Teas are all USDA-Certified Organic and come in five distinct flavours. The line’s Peach, Wildberry, Blood Orange and Original flavours have 45-calorie per 15-oz bottle. The fifth flavour, Mint, is a zero-calorie, unsweetened tea. Warren founded Gratitude Health this year. The Palm Beach Gardens, Florida-based company produces beverages that promote and support healthy aging. All Gratitude Tea flavours have an average of 417 mgs of polyphenols per bottle (in a recent study, the Journal of Nutrition reported that greater than 650 mgs per day is demonstrably effective.) Polyphenols are the phytonutrients found in vegetables and plants, which are very rich in antioxidants and have proven to be great fighters of free-radicals, which cause numerous diseases. 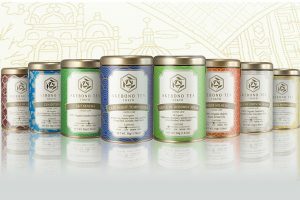 The new Gratitude Heath RTD teas feature unique packaging delivered to consumers in a 15-oz, mason-jar-like bottle designed to be “upcyclable” or repurposed. Each feature one of five debossed pieces of art displaying five elements: the sun, the moon, the ocean, the earth and love. 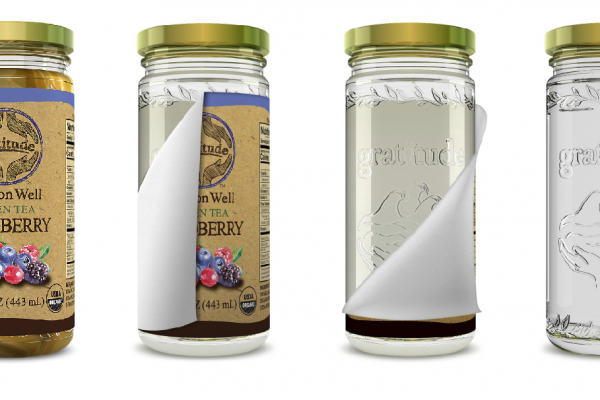 Each design is unveiled by the consumer when the beverage label is peeled off. 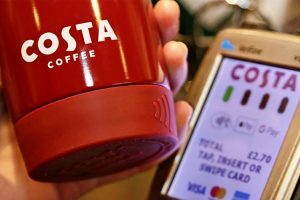 The designs are covered at random, are not flavour specific and are intended to be a surprise value-add to the customer’s drinking experience. The bottle foot-print fits in all store refrigerated display racks and automobile cupholders. For more information, email: info@organicgratitude.com.